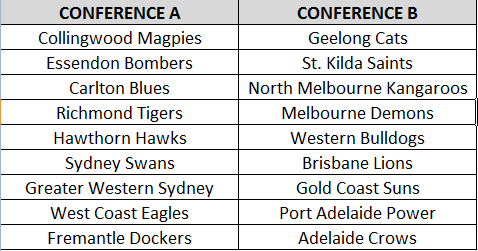 With the entry of the new Gold Coast team coming into the AFL next season, the conjecture and second-guessing about who’s going there and who’s staying with their teams has been ripe all year long. However, in recent times we have seen the first few players leave their teams and take up offers to join the Gold Coast Suns. I’m talking about Nathan Krakour, Nathan Bock, Michael Rischitelli and the most recent, Campbell Brown. Now we all know that the Gold Coast team has alot of money to throw around and lure the players to the sunny part of Australia, but somehow in the middle of all these players signing with them it seems to have been forgotten. Sure they have alluded to it in the media, the compulsory one sentence saying how much they believe the players to be earning over their tenure with the Suns but thats it. When the players make their speech about why they signed with the club, the money is forgotten. Sure they may want to join the club to become a leader, one of the elder statesmen if you will. They may want to join the club so that they can find some form of continuation in where they play their footy, as Campbell Brown has said earlier in the week. But the main reason is the money, some of the players salaries will, or have, reportedly doubled or tripled in size because they have joined the Suns. Brown is on a reported $450,000 per year with the Suns for the next three seasons, compared to a possible $300,000 over two seasons with the Hawks. Which one would you take? Jared Brennan, the Lions player that has been linked as a Gold Coast target could make more than $2mil over three seasons at the Suns, compared to a contract with a sort of performance claus from the Lions. Which would you choose? The Gold Coast have the first three picks in the draft and their players, according to the Herald Sun will be Sam Day, Harley Bennell and David Swallow. All three are reportedly tremendous talents and will play in the midfield. The Suns are then looking at a ruckmen such as David Hale, Robbie Campbell or Josh Fraser to work with Zac Smith so there is some experience there. Harbrow is pretty much a given that he is going to the Suns and then, again according to the Herald Sun, there is a raft of Essendon players that are being looked at. Lets hope that one of Ablett, Harbrow or Brennan will say that! Because in my mind, those three are signed and sealed with the Gold Coast, just waiting on the delivery.